Oswego /ɒsˈwiːɡoʊ/ is a city in Oswego County, New York, United States. The population was 18,142 at the 2010 census. Oswego is located on Lake Ontario in north-central New York and promotes itself as “The Port City of Central New York”. It is the county seat of Oswego County. The city of Oswego is bordered by the towns of Oswego, Minetto, and Scriba to the west, south, and east, respectively, and by Lake Ontario to the north. Oswego Speedway is a nationally-known automobile racing facility. The State University of New York at Oswego is located just outside the city on the lake. Oswego is the namesake for communities in Montana, Oregon, Illinois, and Kansas. Fort Ontario was destroyed by the French upon capturing it in the Battle of Fort Oswego, during the French and Indian War. Construction of a second British fort began on the same site in 1759, but Fort Oswego was only used as a cannon emplacement. During the American Revolution, the British abandoned the Fort, and in 1778, American troops destroyed it. In 1782, the British reoccupied Fort Ontario, and didn’t forfeit it to the U.S. until 1796, thirteen years after the cessation of hostilities in the Revolution. During the War of 1812, a weaker American garrison at Fort Oswego was overwhelmed by superior British forces, in order to stem the flow of supplies from the interior of New York state. Throughout the 19th Century, the U.S. military maintained a presence at Fort Ontario. 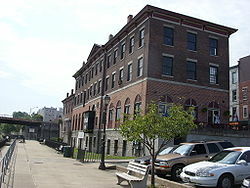 In 1946, the Fort was transferred to the state of New York. At that time, it was used to house veterans and their families during the post-war period. Development of the fort as a historic site began in 1949, which included the “Safe Haven Museum” (see above). The current fort was built between 1839 and 1844. Major masonry improvements to the forts outer wall were undertaken, but left incomplete when in 1872, congress cancelled its funding. By 1901, the old fort was abandoned. Today, Fort Ontario is being restored to its 1867-1872 appearance. Costumed interpreters recreate the lives of the officers, men, and civilians who garrisoned the fort in 1868-1869. This was the only attempt by the United States Government to shelter Jewish refugees during the war. Approximately 1,000 War refugee families were brought here from Italy, but deliberately only from other parts of Europe. They were all fleeing from the Nazis. They were deliberately chosen so that some were non-Jewish to allay anti-semitic fears. Oswego was incorporated as a village on March 14, 1828, and the Oswego Canal, a branch of the Erie Canal, reached the area in 1829. The city was incorporated in 1848. When the city incorporated, its area and population were removed from the figures reported for the towns. In the 1850s, at the height of a popular water-cure movement occurring in the U.S.A., in turn stimulating growth, Oswego was the home of the Oswego Water Cure establishment, which Stonewall Jackson reportedly visited in August 1850. Oswego is home to the port of Oswego and once was a major railroad hub for several major railroads: the New York Central Railroad (NYC), the Delaware, Lackawanna and Western Railroad (DL&W), and the New York, Ontario and Western Railway (OW) railways. Both railways operated a coal trestle for fueling steamships at the Port of Oswego. Former NYC and DL&W passenger stations remain, as does a NYC freight station. Nothing remains of the O&W, which was abandoned in its entirety in 1957. The tunnel from the former OW is used as a rail trail. According to the United States Census Bureau, the city has a total area of 11.2 square miles (29.1 km2), of which, 7.7 square miles (19.8 km2) of it is land and 3.6 square miles (9.2 km2) of it (31.76%) is water. Oswego is located on the southeastern shore of Lake Ontario at the mouth of the Oswego River, about 35 miles north of Syracuse, New York and 69 miles east of Rochester, New York. New York State Route 481 (from Interstate 81) runs north/south to Oswego from Syracuse and Fulton. New York State Route 104 runs east/west from Rochester to Oswego. The nearest city is Fulton, located south of Oswego and north of Syracuse. As Oswego is located on the eastern shore of Lake Ontario, in the center of the Snowbelt, the region often sees prodigious lake effect snow accumulations. Oswego is one of the snowiest towns in America, with some winters totaling over 300 inches. In 2007, Oswego gained national attention when approximately 130″ (slightly less than 11 feet) of snow fell in a two-week timespan. This broke the record of the Blizzard of 1966, which blanketed the city with 102″ of snow. As a result of this storm, the school district closed all facilities for a week, effectively shifting the planned winter holiday. As of the census of 2010, there were 18,142 people, 7,486 households, and 3,896 families residing in the 8,258 housing units in the city. The population density was 2,343.4 people per square mile (905.0/km2). The racial makeup of the city was 94.1% White, 2.3% African American, 0.1% Native American, 1.5% Asian, .6% from other races, and 1.5% from two or more races. Hispanic or Latino of any race were 5.1% of the population. The median income for a household in the city was $39,867, and the median income for a family was $57,324. Males employed full-time, year-round, had a median income of $50,074 versus $33,211 for similarly situated females. The per capita income for the city was $21.139. 24.2% of the population and 14.4% of families were below the poverty line. The city is governed by a mayor, currently Democrat Thomas W. Gillen, and a board of seven aldermen who are elected from the city’s seven wards. Recent previous mayors include Democrat Randy Bateman and Republican John Gosek. The City of Oswego is included in New York State’s 48th Senate District, represented by Republican Patty Ritchie. The city is also part of the 124th Assembly District, which is represented by Republican Will Barclay. 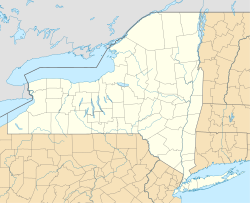 Oswego is located inside the 24th Congressional District of New York, which is represented by Democrat Dan Maffei. Curtis F. Shoup, Medal of Honor recipient. Comedian Jerry Seinfeld, ESPN SportsCenter anchors Steve Levy and Linda Cohn, NBC’s Today Show Weatherman Al Roker, and Robert E. Moritz, former Chairman and Senior Partner of PricewaterhouseCoopers,Roy Lichtenstein http://en.wikipedia.org/wiki/Roy_Lichtenstein (American pop artist during the 1960s), all attended SUNY Oswego. Oswego has a long history stretching back to the 15th century. Visitors can learn about the city’s history by visiting museums such as the H. Lee White Marine Museum, The Richardson-Bates House, and Fort Ontario. Throughout the city and public parks, many historical monuments can be found honoring historical figures, and other forts that stood in what is now the historical district. The city includes a number of sites on the National Register of Historic Places including the Market House, Oswego Armory, Oswego City Hall, Oswego City Library, Oswego County Courthouse, Oswego Yacht Club, Tanner Block, and U.S. Customhouse. The most notable historian was Rosemary Nesbitt, who is immortalized by a monument in the city’s signature public park, Breitbeck Park. Every Halloween, she would traditionally let down her long silver hair, dress in a ghostly gown, and tell ghostly haunted tales spanning across the entire history of the city. Nesbitt, who also founded the Marine Museum and wrote various books about the city’s history, died on August 2, 2009 at the age of 84. Ludwig Bemelmans, the writer best known for his popular ‘Madeline‘ stories, was stationed at Fort Ontario, Oswego, N.Y. from 1917. From this experience he wrote the book “My war with the United States” published in 1937. Boating, fishing, and hiking are also activities that are enjoyed by residents and visitors. Oswego also has three ice-skating rinks, a large public pool located on the Fort Ontario grounds, bowling, and the historic Oswego Theater. Every year the city hosts the Oswego Harborfest, a four-day festival of music, culture and food, centered around the Oswego Harbor, culminating in a fireworks display on the Saturday evening of the festival. The event is sponsored by local businesses, and the entertainment is mostly admission-free. The festival continues to draw approximately 150,000 to 300,000 attendees every year. In 2007, SUNY Oswego Lakers men’s hockey team won the NCAA Division III Ice Hockey Championship. Garren Reisweber’s goal 12:55 into overtime gave Oswego State a 4-3 win over Middlebury on March 18, 2007. The Lakers captured the school’s first ever national championship in a team sport. The 2006-07 season marked the first season Oswego played in the newly built, state-of-the-art Campus Center, located on Lake Ontario. The Campus Center replaced Romney Field House which opened in 1964, and is believed to be the first ice rink built within the State University of New York system. The city is part of the Oswego City School District. The Oswego City School district has one high school (grades 9 – 12), one middle school (grades 7 & 8) and five elementary schools (grades K – 6). The State University of New York at Oswego (SUNY Oswego) is located just west of the city in the town of Oswego. Trinity Catholic School (formerly St. Paul’s Academy) provides classes for PreK – 6. Oswego Community Christian School provides classes for Pre K – 8. ^ Jump up to: a b “American FactFinder”. United States Census Bureau. Retrieved 2011-05-14. Jump up ^ “Oswego”. Recognitionscience.com. Retrieved 2013-08-10. Jump up ^ Central New York. “65 years ago this summer, Oswego was safe haven for nearly 1,000 refugees – mostly Jews – fleeing World War II”. syracuse.com. Retrieved 2013-08-10. Jump up ^ Samaritan Medical Center (September 2008). “Stonewall Jackson and the Henderson Hydropath”. in Samaritan Medical Center Newsletter. No.42. Retrieved 13 December 2009. Jump up ^ “NY Oswego East”. National Oceanic and Atmospheric Administration. Retrieved July 10, 2013. Jump up ^ “Oswego East, New York”. Western Regional Climate Center. Retrieved July 10, 2013. Jump up ^ “City of Oswego Mayor’s Office”. oswegony.org. Retrieved 7 August 2012. Jump up ^ “Patty Ritchie”. New York State Senate. Retrieved 25 July 2012. Jump up ^ “New York State Assembly – Member Section”. Assembly.state.ny.us. Retrieved 2010-05-17. Jump up ^ “Congressman Dan Maffei”. maffei.house.gov. Retrieved 30 January 2013. Jump up ^ “Joseph Anthony Bellardini”. IMDb. Retrieved October 30, 2012. Jump up ^ “David Branshaw”. PGA Tour. Retrieved October 30, 2012. Jump up ^ “Wyoming Governor Fenimore Chatterton”. National Governors Association. Retrieved October 30, 2012. Jump up ^ “Erik Cole”. hockeydb.com. Retrieved October 30, 2012. Jump up ^ “National Register Information System”. National Register of Historic Places. National Park Service. 2009-03-13. Jump up ^ “Historian leaves a legacy of her own – The Palladium-Times : News”. Palltimes.com. Retrieved 2013-08-10. Look up Oswego in Wiktionary, the free dictionary.